One of the most sought-after Subarus in the world. 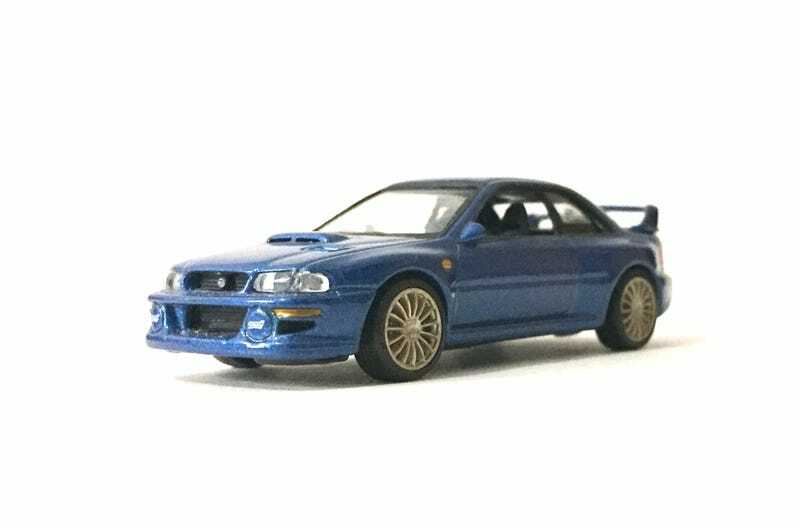 The 22B, launched in 1998, was used to commemorate Subaru’s 40th anniversary as well as the third consecutive manufacturers title in the World Rally Championship. This 1/64 replica is made by Carisma.